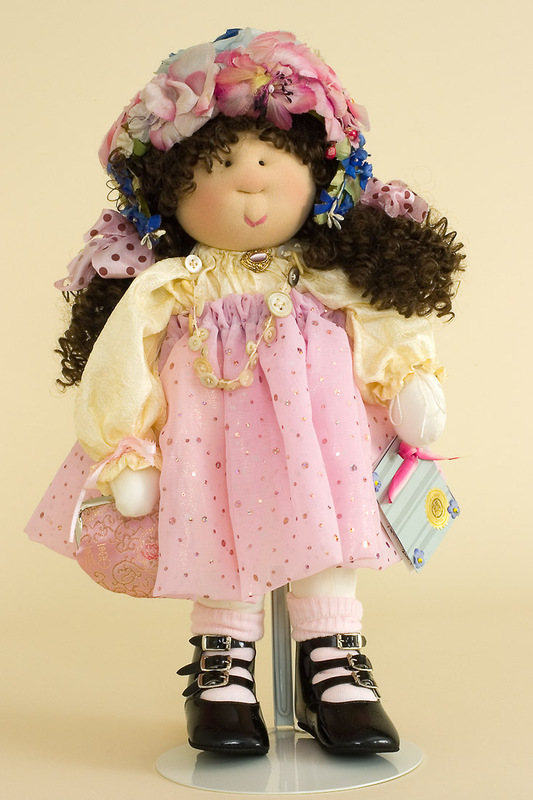 Minimum quantity for "Lexi by Little Souls" is 1. Handmade cloth creation. Three buckle patent leather shoes and era floral hat. 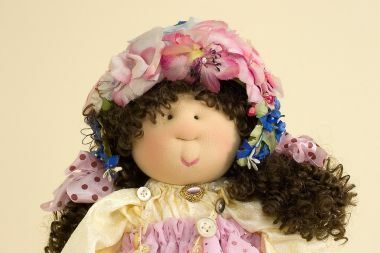 Lexi is a collectible doll by doll artist Gretchen Wilson for doll maker Little Souls. Lexi is made of fabric. Size of doll is 18 inches. Lexi is a one of a kind of 1.